Hubby was busy on the weekend cleaning up the garden. He found a small treasure trove of cucumbers. We haven’t had any frost yet, so there they were, soaking up the sun, undisturbed and stealthily growing. We certainly like fresh cucumbers, but it seemed appropriate to pickle the last of the harvest. A quick and easy method is refrigerator pickles. The riffs on this theme seem endless, so I closed my eyes and picked one–fridge dills. I sliced the cucs, prepped the jars, added lots of fresh dill sprigs and cloves of garlic to the jars, stuffed them with the slices of cuc and then poured boiling hot brine into the jars. Pretty simple. 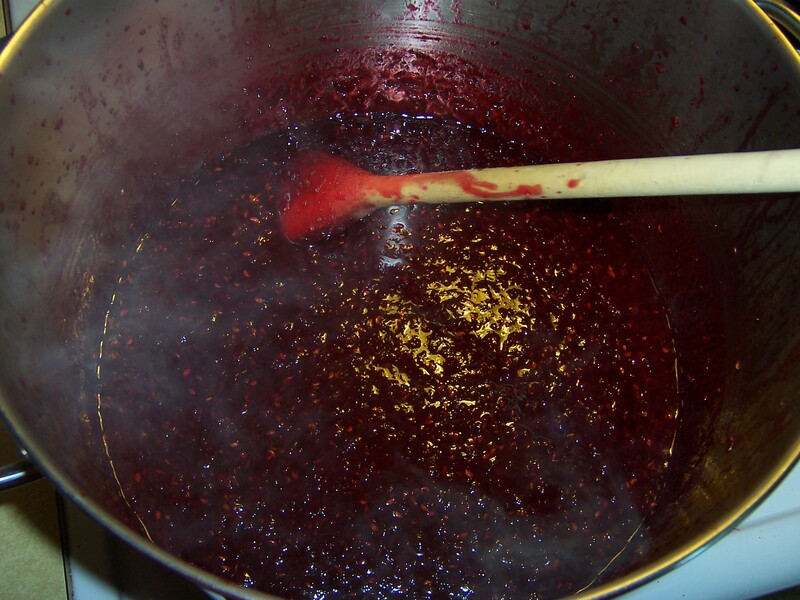 In a large pot, heat the water, vinegar, salt and sugar together until salt is dissolved and liquid has come to the boiling point. 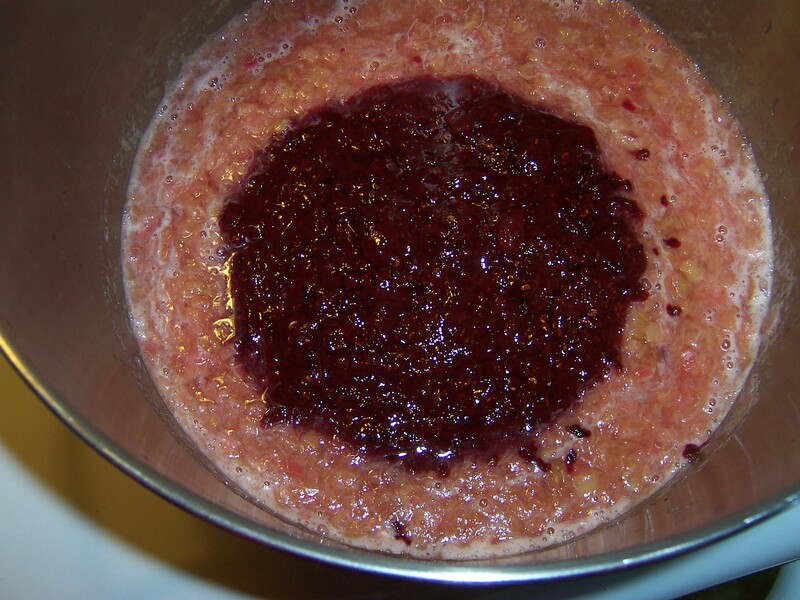 Meanwhile, wash four or five quart-size jars and lids. 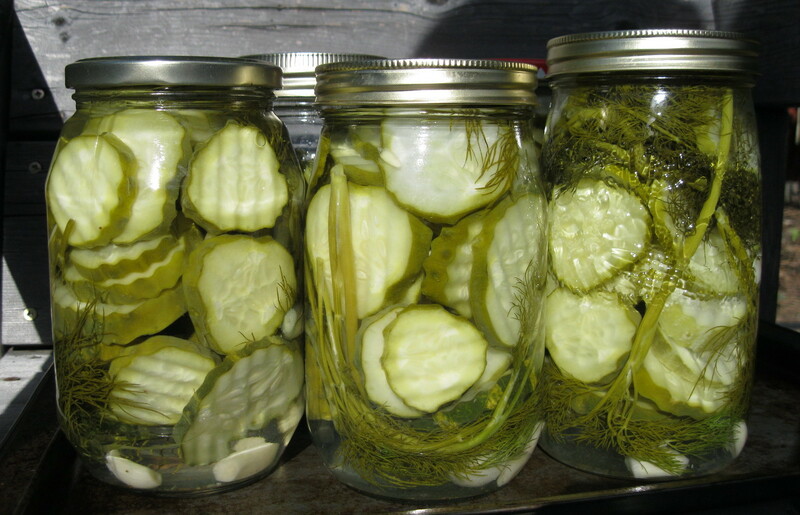 (The beauty of fridge pickles is that the jars really don’t need to be sterilized, just clean.) Wash and slice cucumbers (or cut into spears). Peel garlic cloves and separate dill into sprigs. Divide garlic and dill into jars. Pack jars with the cucumbers slices, then carefully pour the boiling brine into each jar, filling almost to the rim (the hot brine will cool and contract to the perfect level). Put lids on the jars (they will be very hot touch!). 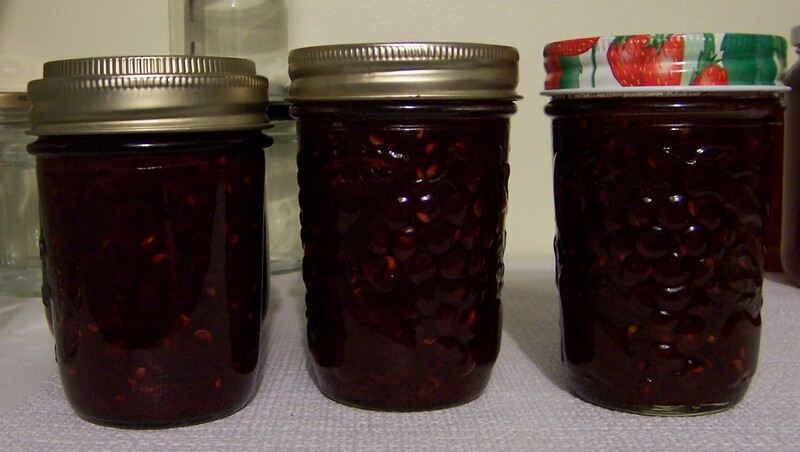 Once the jars have cooled to room temperature, store in refrigerator. 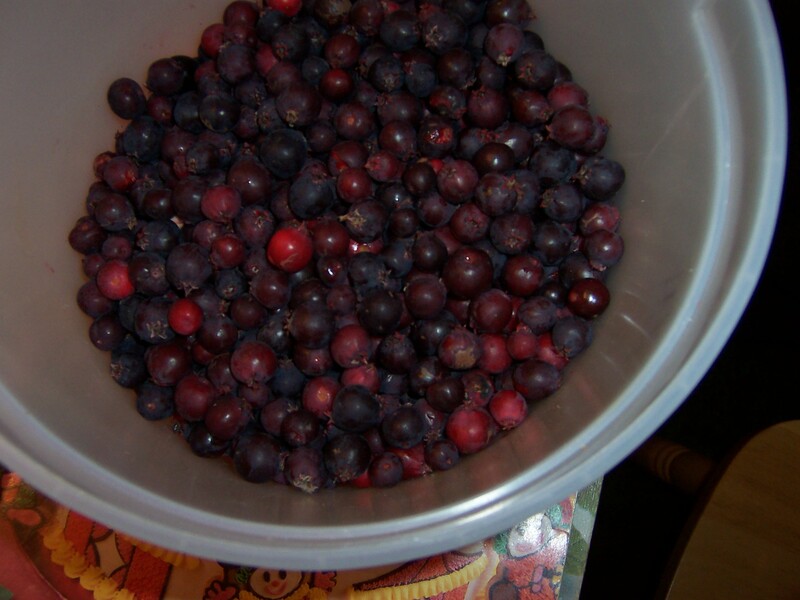 You can eat them within 24 hours, but if you wait a week or so, the taste will develop more fully.